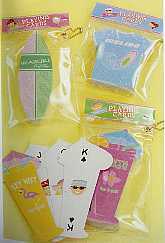 Beach playing cards are perfect for beach wedding favors or beach themed events. 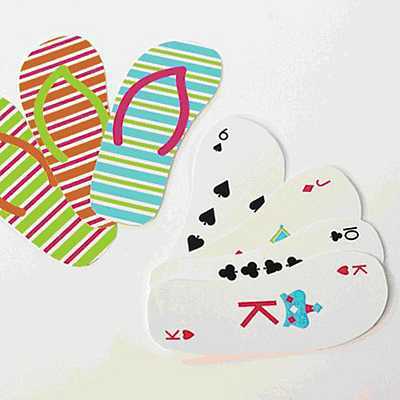 There are beach playing cards that can be personalized. The beach playing cards are also perfect for destination weddings. They can be used long after the wedding. 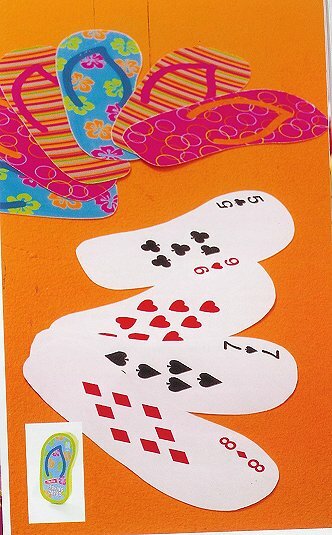 The beach playing cards have several different unique styles to choose from. These really cute beach themed playing cards are great for beach wedding favors. The set includes tropical drink, t-shirt and surfboard decks. 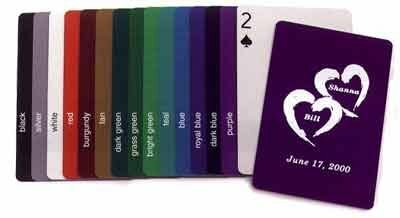 These beach themed playing cards will make a big splash as gifts to your wedding party. They are packed in a plastic bag to keep them dry. Price is for the assortment of 3 sets.